Cattaneo Commercial are pleased to confirm the recent letting of Suite 10 at Claremont House on a new lease resulting in the building now being fully let. Demand continues to be high from office occupiers in Surbiton due to the excellent transport links, mainline station with regular services to London Waterloo and wide range of shops and restaurants. 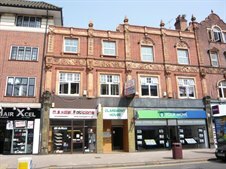 If you are looking for office space please call us on 020 8546 2166 or view our current instructions at: www.cattaneo-commercial.co.uk to see our availability.